*It’s taken a long, long time to get a signal on the air at 94.9 in Montauk, NEW YORK. It was way back in September 1989 when a group called “Women Broadcasters, Inc.” first applied for a class A construction permit way out there on the eastern tip of Long Island. That incarnation of 94.9 never came to fruition; after years of delays, the permit was cancelled in 1996 and the frequency was left fallow for more than a decade before being offered again at auction. Last year, 21 rounds of bidding for the 94.9 signal ended with a $180,000 bid from “CSI Media Research,” part of John Fuller’s growing media presence based in southeastern CONNECTICUT, which is the area Fuller will be targeting when he officially signs on the station, now WJJF, this week. 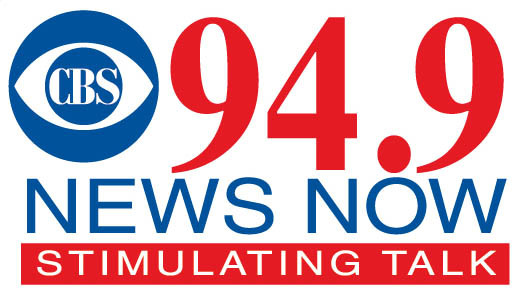 The new WJJF (its calls are Fuller’s initials, previously used on his first station in the area, now WCRI 1180 in Hope Valley, R.I.) will be a news-talk outlet calling itself “94.9 News Now” and anchored by a local morning show hosted by Lee Elci. Elci’s been working for Cumulus (and before that, Citadel) for the last six years at another talker in the region, WXLM, following that talk format and those calls as they’ve moved around the dial from 104.7 (another Montauk-licensed signal) to 102.3 to 980. The rest of the lineup at WJJF will be syndicated: Laura Ingraham 9-noon, Dennis Miller noon-3, Mike Gallagher 3-6 and Michael Savage from 6-10 PM. But Fuller is promising plenty of local news amidst that syndicated lineup, with two reporters out covering stories on the Connecticut side of the region and at least part-time coverage of eastern Long Island as well. WJJF joins two other signals in Fuller’s cluster – AC WBMW (106.5 Ledyard) and top-40 WWRX (107.7 Pawcatuck) – but it won’t enjoy as strong a signal as either of those facilities; its 5.8 kW/341′ class A signal from Montauk will just brush the Connecticut coast with a 60 dBu signal, and at least for now it faces additional co-channel interference from a religious translator in Montville, W235AJ. Does Fuller have plans to improve WJJF’s signal? We wouldn’t be surprised; he’s in the process of upgrading WBMW from A to B1 by swapping its community of license with WWRX. *Over the course of two stints at Hartford’s WFSB (Channel 3), Al Terzi has spent 28 years behind the anchor desk – but that’s come to an end. The station apparently couldn’t come to terms on a new contract with Terzi, and so he’s gone from the 5 PM and 5:30 PM newscasts, where WFSB’s Dennis House is filling in until a replacement is named. *Clear Channel’s shift of ESPN to FM in Hartford (at what’s now WUCS 97.9 Windsor Locks) left Hartford’s longtime ESPN affiliate, WPOP (1410), looking for new programming – but this week, Clear Channel will flip WPOP to Fox Sports Radio, giving it control of both national sports networks in the Hartford market. Local WPOP host Paul Nanos will continue to be heard, but he’ll move from afternoons to mornings when the network switch happens next Monday. *Longtime Nutmeg State broadcaster Gary Girard has died. After 20 years on the air at WPOP and other stations, Girard worked in sales at WHCT-TV (Channel 18), managed WNLC/WTYD in New London, and worked for the NAB before starting his own station. Girard put WKCD (107.7 Ledyard, now WWRX) on the air in 1995, then sold it after he suffered a stroke three years later. Girard was just 68 when he died February 22 in Florida. *While John Fuller gets WJJF on the air out at the end of Long Island, a new upstate NEW YORK AM signal apparently won’t get to sign on, even after spending what was likely hundreds of thousands of dollars constructing a new directional array in the Mohawk Valley. That’s WKAJ (1120), which started out in 2008 as a construction permit in Little Falls, then migrated in 2011 to a 10 kW daytime/400-watt nighttime authorization that would have been the first signal licensed to St. Johnsville. When the CP was granted to Long Island’s Michael Celenza, it was set to expire in April 2011. A 2010 transfer to Cranesville Block Company (which owns WCSS 1490 in Amsterdam) extended that deadline to October 15, 2011, and harsh weather and flooding prompted Cranesville to request “tolling” of that deadline that pushed it out to December 15. Even with that extension, though, WKAJ wasn’t on the air by mid-December – and had Cranesville remained in touch with the FCC, it might have been able to salvage its investment. But December 15 came and went with no communication between the station and the Commission, and so did the new year. Finally, the FCC contacted WKAJ’s lawyers on January 5 with what amounted to a “what the heck?” letter. When Cranesville responded three days later, it said the station had been completed. That was too late for the FCC, though: on January 25, it moved WKAJ to the “deleted” list, which prompted Cranesville to file a petition for reconsideration two days later. Cranesville says it was blindsided by a contractor that abruptly abandoned the project just as the CP expiration deadline was approaching, and that the holiday season made it impossible to find a replacement contractor in a hurry. By January 26, Cranesville says the four-tower WKAJ array had been built (at a “significant investment of time and money”) and the station was almost ready to sign on, give or take a transmission cable to one tower that needed to be recut. But in FCC-land, “almost” isn’t good enough, especially when it’s not just one deadline being missed. Even WKAJ’s “Petition for Reconsideration” submitted January 27 was filed a week later than Commission rules require, and while the FCC tried to give Cranesville the benefit of the doubt by treating the petition as a request for a waiver of the rules, it found that the situation didn’t merit a waiver. *There was another station off the air in central New York, too, and it says something about wintertime in the Oswego area that we’re only now getting wind of the collapse of a tower up there. WWLF-FM (96.7 Oswego) operated from a self-supporting tower on County Road 29 east of Oswego – at least until the high winds of a January 17 storm took that tower down. *Two of New York City’s biggest TV stations are adding new DTV subchannels. CBS long shunned the use of subchannels out of concern for the picture quality on its stations’ main channels, but that trend is shifting. Last fall, CBS announced it would be launching all-news channels in its biggest markets, and last week “CBS New York Plus” quietly appeared on the 2.2 subchannel of WCBS-TV (Channel 2). In its early days, at least, the new channel consists of repurposed segments from WCBS-TV newscasts accompanied by text displays of news, sports and weather; going forward, CBS says it will also incorporate material from its New York radio stations, WCBS, WINS and WFAN. The YMF group will have to spin off one of Inner City’s five stations in Columbia, S.C. to avoid the ownership cap there, but the New York AM/FM combo will stay intact – and that’s probably the best possible news imaginable for Family Stations, which can now continue moving forward with its planned sale of New York-market WFME (94.7 Newark) without potential buyers comparing WFME’s signal to the superior full-market signal of WBLS. *Merlin Media’s WEMP (FM News 101.9) has reportedly named Eric Seidel as its new interim program director. Seidel worked in NERW-land in the 1980s as a reporter at WCAU (1210 Philadelphia, now WPHT), and had most recently been down in Atlanta as program director of Clear Channel’s WGST (640). *Country music fans in the southern part of the New York metro area already have their dials pointed to 106.3 to hear Press Communications’ WKMK (106.3 Eatontown NJ) – and as of Thursday, their counterparts at the northern end of the market will be able to hear country on 106.3 as well. That’s thanks to Cumulus, which is flipping WFAF (106.3 Mount Kisco) from a simulcast of adult contemporary WFAS-FM (103.9 Bronxville) to a simulcast of “Kicks Country” WDBY (105.5 Patterson), which operates out of the Cumulus cluster in Danbury/Brookfield, Connecticut. The new “Kicks” simulcast will reach from the Danbury area south to central Westchester County; depending on the behavior of the Bronx pirates who also use the 106.3 frequency, it will sometimes be audible in southern Westchester and into the Bronx as well. *Some translator shifting upstate: With a new full-power outlet coming to the Binghamton market on 93.3, licensed to Susquehanna, PA, the longtime Endicott translator for WPEL-FM (96.5 Montrose PA) has to find a new home – and so W227AB is applying for a shift up the dial from 93.3 to 94.7. The move will also come with a power increase from 41 watts to 250 watts from the translator’s existing location just west of Endicott. In Dansville, Family Life Ministries’ W282AC (104.3) has a construction permit to move to 104.5; that will get the WCOU (88.3 Attica) relay out of the way of new W282BQ (104.3 Avon) at the other end of Livingston County. *In Olean, there’s a new morning show host at Colonial Radio Group’s WXMT (106.3 Smethport PA): Roxanne Stuart comes to town from KTHR in Wichita, where she’d worked with Colonial’s new operations manager Steve Mills. *Buffalo’s WBFO (88.7) officially changes hands Wednesday night – and so far, there’s little official word about what will be heard on that frequency (and simulcasters WOLN 91.3 Olean/WUBJ 88.1 Jamestown) once new owner WNED takes over. Behind the scenes, we’re hearing the transition will actually take place at 10 AM on Thursday, following one last WBFO-produced “Morning Edition” with host Bert Gambini to close out the station’s Allen Hall studios on the UB South Campus. After that, it appears most of what will air on WBFO will come from WNED’s existing news staff, largely as a simulcast with WNED (970). Informed sources tell us WBFO news director Eileen Buckley will join the WNED news staff, but most of the rest of the existing WBFO news staff won’t make the transition. As for WBFO’s music programming, word is that the station’s signature weekend blues shows will survive, but it’s likely hosts Jim Santella and Anita West will be heard on Saturday and Sunday evenings instead of their current afternoon slots. *And we’ve been remiss in not noting the death February 13 of Carlos de Jesus, one of New York City’s first prominent disco DJs. De Jesus worked at WKCR (89.9), WNJR (1430 Newark) and WBLS (107.5), but he was best known as one of the star personalities on WKTU (92.3) in the 1970s and early 1980s. De Jesus served as WKTU’s program director in the latter years of the disco era, and he hosted “New York Hot Tracks” on WABC-TV (Channel 7) from 1983-1986. *Shamrock Communications is pulling a manager out of its Scranton, PENNSYLVANIA headquarters and sending him west. Willobee came to the top floor of the Times-Tribune building two years ago as operations manager, and now he’s being dispatched to Reno to play the same role at a brand-new cluster Shamrock is building out there. A new cluster, you say? Yes indeed – that same auction that landed 94.9 in Montauk for John Fuller allowed Shamrock to pick up four new FM channels licensed to communities north and east of Reno. Those class C signals will all operate from a shared site 54 miles away from Reno, with on-channel boosters turning them into “real” Reno signals. This isn’t Willobee’s first time out west; he worked at KEDJ (106.3) in the Phoenix market before programming WEQX (102.7) in Vermont and then joining Shamrock in 2010. Replacing Willobee back in Scranton is Scott Laudani, who’s held a host of programming jobs all over New England at stations such as WHJY, WHEB/WGIR-FM, WLZX and most recently New Haven’s WPLR. Over at Cumulus’ Wilkes-Barre/Scranton cluster, there’s an imaging shift at country WSJR (93.7 Dallas): it’s segued from “JR 93.7” to “Great Country 93.7,” the Cumulus satellite-delivered format that’s appeared on several of the company’s stations (most notably WNNF Cincinnati) in the last few months. *We’re getting a better idea of where Merlin Media will move WKDN (106.9 Camden, NEW JERSEY) once it closes on the purchase that the FCC just approved last week. In addition to approving Merlin’s purchase of the signal from Family Stations, the FCC also signed off on a new auxiliary transmitter site for the station. WKDN’s 9 kW/800′ aux site on Philadelphia’s One Liberty skyscraper will sit just under the antennas for WMMR (93.3 Philadelphia) and WPHI (107.9 Pennsauken NJ) – and it’s widely expected that once the aux license is granted there, the next step will be a complete move of 106.9 from its present site in Camden to One Liberty. *Fans of legendary MASSACHUSETTS morning man Dave Maynard will get together later this week for a memorial service. The longtime WBZ personality will be remembered Wednesday morning (Feb. 29) at a celebratory mass at Saint Cecilia’s Parish at 18 Belvidere Street in the Back Bay. Maynard died Feb. 9 in Florida; donations in his memory can be directed to the Parkinson’s Disease Foundation (http://www.pdf.org/). *It didn’t take long for “Coast to Coast AM” to find a new radio home in RHODE ISLAND: the overnight talk show has moved from Cumulus’ WPRO (630)/WEAN (99.7) to Clear Channel’s WHJJ (920 Providence). *Another quiet week in CANADA, save for a lineup shuffle at Corus Radio’s Barrie, Ontario cluster, where the veteran morning team of Jamie and Tara are moving from CIQB (101.1) to its adult contemporary sister, CHAY (93.1). John Facey moves from afternoons at B101 to morning drive alongside Lisa Paivel, while Chris Liedtke takes over afternoons there, effective today. *While the FCC’s commissioners spent Friday in Harrisburg, PENNSYLVANIA talking about media consolidation (and staying longer than planned, as big public turnout pushed the scheduled 2:30 PM ending time to 3:30 PM), a real-life example of the trend was playing out up north in CANADA. Just after the markets closed, Standard Radio and Astral Media, already two of the largest broadcasters in the country, announced plans for a C$1.3 billion sale that will put Standard’s 52 radio stations in the hands of Astral, creating the largest privately-owned radio group in Canada. The merger gives Astral a toehold in Toronto, where Standard owns news-talk CFRB (1010), soft AC “EZ Rock” CJEZ (97.3) and hot AC CKFM (99.9), as well as a new presence in Hamilton, London, and most of Canada’s major western markets. It also creates new clusters in Ottawa/Gatineau, where Standard’s CKQB (106.9 the Bear) joins Astral’s “Energie” CKTF (104.1) and “Rock Detente” CIMF (94.9), and most dramatically in Montreal, where Standard’s English-language news-talk CJAD (800), AC CJFM (Mix 95.9) and rock CHOM (97.7) join Astral’s “Rock Detente” CITE (107.3), “Energie” CKFM (94.3), as well as rimshot “Boom FM” outlets CFEI (106.5 St.-Hyacinthe) and CFZZ (104.1 St.-Jean-sur-Richelieu). Will the CRTC mandate a sale of some of those overlapping signals? *There’s plenty more news from north of the border this week, including a new station on the air in Montreal. Test transmissions from “Radio Shalom,” CJRS (1650), have been widely heard by DXers in the eastern US and as far afield as Scotland. When the station begins regular programming soon, it will feature a lineup of shows aimed at the Jewish community, as well as several other ethnic groups. Another Canadian ethnic X-bander, Spanish-language CHHA (1610 Toronto), has reportedly returned to the air from its new transmitter site at the Port of Toronto. The CRTC granted Bayshore Broadcasting a new signal in Goderich, Ontario. The new 5.3 kW “classic AC” station on 104.9 will join Bayshore’s existing 1 AM/2 FM cluster in Owen Sound and its FM in Port Elgin. Speaking of the Owen Sound cluster, Bob Wallace and Diana Meder take over in mornings at “Mix” CIXK (106.5). *Crossing the border to upstate NEW YORK, we can now put a price tag on the deal between EMF Broadcasting and Galaxy Broadcasting, which turns out to involve a third Galaxy station. In addition to the two Albany-market FMs that flipped from “Bone” rock to EMF’s satellite-delivered religious formats last week (WBOE 94.5 Ravena to “K-Love,” WOOB 93.7 Scotia to “Air One”), EMF’s $3.65 million purchase from Galaxy also includes Syracuse-market WSCP-FM (101.7 Pulaski), which is heard in Syracuse via translator W267AL (101.3). WSCP-FM dropped its classic country format late last week and flipped to contemporary Christian “K-Love,” creating a network of “K-Love” outlets along the Thruway that now stretches from Rochester’s WKDL (104.9 Brockport) through Syracuse to WKVU (100.7 Utica) and the Albany stations. *In PENNSYLVANIA, CBS is getting ready to vacate the Independence Mall building that’s been home to KYW (1060) and KYW-TV (Channel 3) since the early seventies, and more recently to WYSP (94.1) and WPSG (Channel 57) as well. The radio stations are moving a block away, to 400 Market Street (is that close enough to keep using the “From Independence Mall” stagers on Newsradio 1060? ), and the TV stations are moving to the huge office building at 1500 Spring Garden Street. Some business offices have already moved, and the last of the studio and newsroom operations should be gone from Independence Mall by mid-March, we’re told. The KYW building at Fifth and Market will be demolished and replaced by a new museum of American Jewish history, scheduled to open in 2010. Not much to report from MASSACHUSETTS, except for the effort on Beacon Hill to persuade the NFL to allow WBCN (104.1) and WEEI (850) to present the rebroadcasts of the Super Bowl play-by-play they’d hoped to offer the week after the Patriots’ big win. The NFL stepped in and barred WBCN from rerunning the Gil Santos/Gino Cappelletti call, as well as preventing WEEI from presenting the Westwood One national call that was never heard in Boston; now state lawmakers want to urge the NFL to change its mind and allow the broadcasts. We’ll start our NEW YORK news with the conclusion of the auction for channel 51 in Pittsfield, Mass., which will serve the Albany market when it signs on. Venture Technologies won the station with a $1,323,000 bid; its down payment is due March 4, with a completed application for a construction permit due to the FCC March 20. Down in New York City, Pete Fornatale was off the air at WFUV (90.7) for the past two weekends, as he negotiates his future with the Fordham University-owned public radio station. Fornatale is apparently upset about criticism he received from station management for political comments he made on his February 9 “Mixed Bag” show; he’s also negotiating for extra money for the Web archives of the show, we hear. Two of Boston’s largest FM stations have new owners. CBS is trading WBOS (92.9 Brookline-Boston) and WOAZ (99.5 Lowell-Boston), along with WMMR (93.3 Philadelphia) to Greater Media, in even exchange for Greater’s KLSX (97.1 Los Angeles) and KRLA (1110 Pasadena-Los Angeles). CBS was under Justice Department orders to sell WBOS and WMMR, as part of its purchase of Infinity. WOAZ simply went along with the deal, just as it did when Infinity acquired it from Granum just a few years ago. No immediate format changes are expected at AAA WBOS or at smooth jazz “Oasis,” which now form a group with AC WMJX (106.7), oldies WROR-FM (105.7 Framingham-Boston), country WKLB-FM (96.9), and WNFT (1150). WNFT is in search of a new format, following the demise of KidStar, the Seattle-based childrens’ network that had been leasing 1150 for some four months. KidStar folded abruptly last week, sending 1150 back to its default mode of simulcasting 96.9 until someone else signs up to lease it. Rumor has it that rival kids’ programer Radio AAHS is contemplating a deal for 1150. We now know what Salem will call AM 1260, the former WEZE Boston. The new calls are WPZE, for “Praise 1260.” The WEZE calls move to 590, the former WBNW. Both stations are still simulcasting for the moment, but separate programming for 1260 is expected soon. Squeaking through: WRPT (650 Ashland MA) made it on the air with just hours to spare before the February 9 deadline for keeping its license. Like sister station WJLT (ex-WBIV) 1060 Natick, WRPT is operating from one tower of the WKOX (1200) site on Mount Wayte Avenue in Framingham. WRPT is running the “Talk America #2” network programming for now. Also back in time were WEAV (960 Plattsburgh NY), which is being leased by crosstown WZBZ (1070) to simulcast its talk programming, and WAUB (1590 Auburn NY), which is simulcasting WLLW 93.7 Clyde NY for now. We don’t know the fates of WHWB (970 Rutland VT), WEGP (1390 Presque Isle ME), or WSCP (1070 Sandy Creek NY) — and we’d like to hear from anyone who does! Dead and gone are WQQW (1590 Waterbury CT) and WLNG (1600 Sag Harbor NY). Rhode Island’s got something to dance to: WDGF (100.3 Middletown) has dropped its simulcast of WDGE (99.7 Wakefield-Peace Dale, “The Edge”) to become dance music “The Beat.” WDGF is the former smooth jazz WOTB; it had been simulcasting WDGE for only a year or so. You must get on over to the WKAJ towers to take pictures, first for this site, and then perhaps for a future Calendar. It might turn out to be a photo of an array for a station that NEVER made it to air. I’d certainly like to…but at least for now, Lisa’s ongoing recuperation (three hospitalizations since December) has me largely confined to Rochester. If the towers are still standing later in March, I intend to try to make it over there. Really sorry to hear that. I understand Rochester has ECK-SELLENT (Mr. Burns imitation) medical facilities. I hope everything works out for you and the family.